It has been an interesting couple of months here in Nashville. Back in July, we got a brand new Director of Schools, Dr. Shawn Joseph. Everybody broke their arms clapping themselves on the back because it appeared we had a found a good old fashioned champion of public education for a superintendent. While in some ways that may be true, it appears that we may have gotten something else. The jury is still out on exactly what kind of director we’ve hired, but it’s safe to say that a number of red flags have arisen. Over the last several months, I’ve written several posts outlining these red flags that have arisen since Dr. Joseph was hired. Phil Williams of Channel 5 News in Nashville has also produced exemplary work on the many abuses of power that the new director has done along with the plethora of perks he has taken advantage of, possibly at the expense of other needed budget items. It paints a very concerning picture and one whose facts remain undisputed. The only counter argument that has been put forth is that he’s only been on the job for a few months and therefore, we need to give him more time. The “give him more time” argument is troubling to me. The reason being the questions raised and the behavior reported on all center on wasteful spending, crony hiring practices, and perceived entitlements. So exactly what is more time going to produce? Is Dr. Joseph suddenly going to decide in, say, January, that having a driver come to his house to drive him to a breakfast that is on his way to work is wasteful spending? Is the new Broad-educated Executive Director of Professional Development Tamika Tasby going to suddenly acquire some classroom experience? Is the Executive Officer for Priority Schools Mo Carrasco going to realize that it’s probably unethical to cross brand his company and the department he heads in the district? Tell me, exactly what will change with more time? Color me skeptical. Equally important to remember is that with more time comes the potential of more cost. Who will eventually pay the costs if we give the new team more time and things don’t change? Will the money spent on housing get returned? Will the car dealership take the cars back and refund the district’s money? Will qualified teachers who quit because they grew weary of scrimping and saving while administrators enjoyed increased salaries and perks return to the classroom? Will children adversely affected by the failed policies get that time back? And of course, the ultimate question, how much time is sufficient for us to figure it all out? Over the last several years, working with current school board members to fight back privatization efforts, we spent a lot of time trying to get people to have evidence-based conversations. Luckily for this conversation, there is ample evidence to consider in making the argument that we should be prudent in giving this new team more time. For example, just four years ago, Sito Narcisse, now the new MNPS Chief of Schools, was a principal in Boston. Things didn’t go so well. In fact, giving him more time led to the state education department withholding $900k in federal funds until someone else stepped in and came up with a better plan. Is that what we need to have happen here before we take action? Since he’s now second in command here in Nashville, the risk is even greater. Kathleen Dawson, recently hired as an executive principal in MNPS, was also a principal in Boston at a high needs school. Things didn’t go so well. There were plenty of signs in November 2014 that there were issues. Big issues. But the district gave her more time. In January 2015, she took a leave of absence and resigned 2 weeks later. Luckily there was someone extremely qualified who was able to step in and ensure that the kids didn’t lose out too much. But who knows what the cost of the previous five months was. Now she’s here in a position of authority over several principals. Principals who serve in schools that meet the description of high need schools. Don’t get me wrong. In some areas, Joseph and his team do deserve more time. For example, the new report cards, at least for elementary school kids, are useless. There is no explanation of grades, no comments, and no place for parents to even sign the cards though they were instructed to do so. Furthermore, no explanation was given from central office for the unacceptable report cards. Principals tried to mitigate the damage, but parents were supposed to accept these report cards. This was another failing, especially when you consider parent communication is a stated priority of the new administration. The difference with this example is, nobody is really hurt, and I believe Joseph and his team will get this right the next go around. Managing the existing technology and modifying it to meet your vision takes a little time and tweaking. Bus routes, effectively communicating with stakeholders – these are all similar processes that take a little time to get right. However, using district employees to work on your house does not fall into this category. Billing the district for transitional expenses like housing that are, in actuality, permanent expenses, does not fall into that category. Cutting existing programs before fully assessing their value and scope do not fall into that category. There is a saying that those who don’t study history are doomed to repeat it. Let’s take a look at the not-too-distant past in Nashville. Back in 2001, the MNPS school board conducted a nationwide search for a new director of schools. They found Pedro Garcia. Garcia was a rising star in southern California with some very definite ideas about what Nashville needed. Interestingly enough, he wasn’t the first camechoice and only accepted the job after Carol Johnson turned it down. I know, this sounds a little like the movie Groundhog Day. Pedro Garcia was quickly embraced by the city. Upon arrival Garcia called for the district to read From Good to Great. Dr. Joseph, by comparison, has come in recommending that all read Leadership and Self Deception. Garcia quickly immersed central office in leadership training from the FranklinCovey group. Joseph has done the same, only his leadership training dujour has been the Arbinger Institute. Like with Dr. Joseph there was very little push back to Dr. Garcia’s initiatives in the beginning, though principals did voice some concerns (Groundhog Day, I know.). It took two years before he and the board had their first open quarrel. Like now, there was a reporter involved in the dispute at that time as well. Larry Brinton, a reporter for WSMV, was all over the story, and Garcia was not pleased about it. As reporter John Spragens wrote in the Nashville Scene at the time, this aggravated Garcia to the point of distraction. He emailed individual board members about the story, complaining that “[the board] chooses to believe the TV reporter instead of the director.” As Spragens reported, then-board member Chris Norris “sent a terse reply to Garcia and the group: ‘It is my understanding that the board has a duty to the public when we monitor [executive limitations] to exercise our independent judgment based on facts, not opinions about those facts,’ she wrote.” Current board members should probably also pay close attention to how that dispute ended. Further damage was done in 2009 when the U.S. Supreme Court ruled that former MNPS employee Vicki Crawford could file a civil rights lawsuit against Metro Nashville Public Schools, which all stemmed from a sexual harassment investigation against Gene Hughes. That little lawsuit cost MNPS around a million dollars. Then-board member Kathy Nevill said something at that time that should resonate as much in 2016 as it did in 2003: “What I’m very worried about is that we have allowed something that should have been taken care of a long time ago to derail the progress we’re making. We’re almost there at being one of the best urban turnaround stories in the country—in two years…. I don’t want to be another third year urban statistic.” She was speaking of things falling apart in the following year, but I’d argue the quote can also be interpreted as a call for creating the proper foundation. By refusing to acknowledge and address the issues today, we risk building a shaky foundation that creates larger issues in the future. I still believe that Dr. Joseph can do great work here in Nashville. But in order to have true sustainable success, he and the school board have to create a strong foundation. Part of that foundation needs to include the ability to have those hard conversations in a public setting. Unfortunately, the Hughes issue was just a harbinger. Communications problems plagued the Garcia administration. According to Spragens, this time in a Nashville Scene article from 2004, then-board member Nevill commented, “As a district, we seem defensive all the time…. We just can’t seem to get rid of our defensive tone.” Groundhog Day, I know. Then a few years later in 2006, a new school board was elected. One that agreed to speak with a singular voice and not voice opposition in public. I know… Groundhog Day. That didn’t work out so well, and soon Garcia’s time in Nashville came to a messy end. Garcia’s run ended just shy of seven years. It ended with a fiercely divided city, heated racial arguments, and a school district that had entered corrective action with the state. When Dr. Joseph’s defenders say that we never put the kind of scrutiny on past directors like he’s receiving now, that doesn’t seem accurate. I would also suggest they talk to former Chief Academic Officer Jay Steele about that. The point is, we have a blueprint of what happens when we allow free reign and give nothing but accolades to a director of schools. I don’t believe anybody wants to see Dr. Joseph’s tenure end the way Dr. Garcia’s did. And in fairness, Garcia did do some good things while here, increasing the utilization of technology being one of them, but the wins were wiped out by the losses. In that light, MNPS board chair Anna Shepherd’s recent Facebook post is a step in the wrong direction. Change is always hard. Change without trust is virtually impossible. Trust is earned on a continuous basis and can never be demanded. The board owes it to Dr. Joseph to use the trust they’ve earned to help him earn our trust by engaging in open, transparent dialogue on a regular basis. Hiding behind a blanket statement that offers no evidence that concerns are being addressed does not build trust for anybody. In fact, it does the opposite. I was recently asked what I think our board members should do in the current situation. Caught off guard by the question, I gave a fairly pedestrian answer. But, upon reflection, my answer would be to have them be who they are. We just went through what should have been a game-changing election. Incumbents Will Pinkston, Amy Frogge, Jill Speering, Sharon Gentry, and newly-elected Christiane Buggs won their positions in a very clear cut manner. And I’m not going to qualify Pinkston’s win because the vote was close. He overcame substantial odds that should have resulted in failure but didn’t because of his record. A primary plank of the opposition’s platform was that they would be better able to work in a more unified manner than the previous board. It was a plank that clearly didn’t resonate with voters. The winners won not because of their ability to get along, but because of their fierce advocacy records. Teachers and parents knew that if they had a concern, Amy Frogge had their back and would support them in a public manner. When bus drivers needed a voice, Pinkston was there despite criticism. Speering drew a line in the sand on literacy issues, and Buggs gave East Nashville residents hope that they would finally have a representative who listened and was willing to fight for their issues. That’s why teachers and parents volunteered to canvass and advocate for these candidates. They were passionate, accessible, and maybe imperfect, but it was clear they were on our side and they listened. In the three months since that election, the school board has been to Chattanooga at least twice, Utah, Florida, and just recently to New Orleans to work with the Arbinger Institute, the Panasonic Foundation, and Gallup StrengthsFinder to help us “sing from the same song sheet,” as Shepherd put it in her Facebook post. Sing what song, though? I don’t know. There is no public record of any of these meetings. There is no published agenda. Just a vague promise that they will present their new vision for the district soon, and that they feel confident that many will be pleased with the outcome. I’m not sure what that means or even who has input. All I see is three private entities, along with a new and unproven director and his team shaping policy with limited public input. That concerns me. We criticize charter school boards when they operate in this manner, but somehow it’s all right for us to emulate that model? The members of the MNPS school board are a collection of individuals who have inspired me with their passion and courage. Pinkston’s willingness to step out and defend teachers, Speering taking on the Achievement School District, Frogge’s fearless posts on the inequities of our educational policies, and Buggs shows signs of being an equally fierce advocate. These are the kind of things that made these people heroes to me. And now, I miss those people. Hell, even Mary Pierce’s staunch defense of the charter school industry is more palpable than this Stepford Wives version of Kumbaya we’re getting now. Instead, it seems the board has been replaced by people who mouth the same thoughts in public under the guise that it’s more effective to be unified than passionate. Mind you, I’m not discounting the need for decorum, but people are elected to be advocates for their electorate and not just be placeholders. Dr. Joseph, as I’ve said, brings a lot to the table. But I would argue so does this school board. This ain’t Prince George’s County, and it is just as important that he learn our ways as we learn his. I’m from the Northeast, and my wife often thinks that I’m angry with her because of my tone. There are one of two approaches I can take to this misunderstanding – I can either expect her to adjust, because that’s just who I am and how I speak, or I can recognize that I live in Nashville now and I need to adjust my manner of speaking to fit in with where I now reside. It has been my experience that things work better when I adjust out of respect for who people are and where they call home. One of the things that impresses me about Williamson County Schools superintendent Dr. Looney is that when you talk to him you never feel like any subject is off limits. I’ll never forget when we had lunch shortly after I’d written about his turning down the MNPS director of schools job. My piece equated his rejection at the 11th hour to the old kid’s prank of placing a burning bag of dog poop in a brown paper bag on someone’s doorstep, ringing the door bell, and then running away. The first words out of Dr. Looney’s mouth upon greeting me for lunch – and we were barely acquaintances at the time – was, “Darn! I was going to bring a brown paper bag along.” That’s the kind of candor that builds a strong foundation and a healthy culture. Questioning does not equate to undermining, unless of course, you don’t want the answers to those questions known. I recently had the pleasure of being in the schools in Dyersburg, Tennessee. Dyersburg is a rural district with a high poverty rate, yet is doing exceptional work. In their welcome statement, their mission is clearly stated: “Teachers establish Dyersburg City Schools mission of providing a culture of a safe, positive environment where all students can reach their full potential.” It’s that simple. It’s on the walls of their schools and is felt deeply by district employees. Williamson County Schools has a similar program with their “Be Nice” campaign. Both districts recognize the importance of culture and the need for it to come from the people most impacted by it. The key phrase in the Dyersburg statement is “Teachers establish.” Similarly, students brought forward and established Williamson County’s campaign. Not Panasonic. Not Arbinger. Not Gallup. Teachers and students. That’s how you establish culture. Not through outside corporations, but by valuing your day-to-day people. They are the ones who deserve the added perks and resources. No trip to Utah or New Orleans is needed. Neither are workshop sessions conducted by coaches from national corporations. Just actual stakeholders – teachers, students, and parents. As the director and the board struggle to control the message, I end with this final observation in the form of the words of former LEAD Academy board chair Bruce Dobie, someone with whom I rarely agree, except in this case: “Don’t spend your energy arguing what the public face is going to be. The truth will come out. 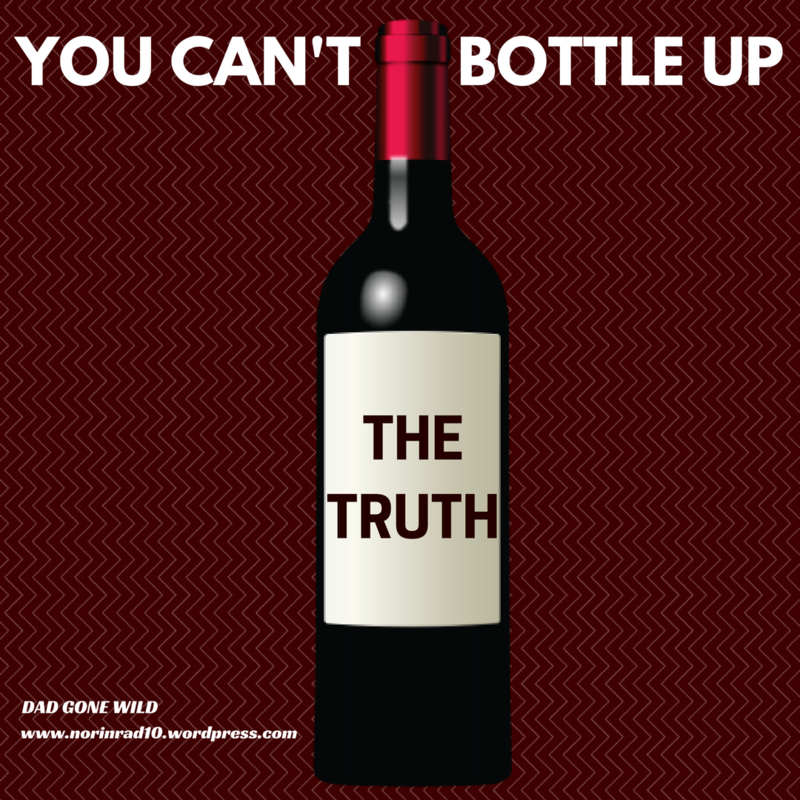 You can’t bottle up the truth. To have this discussion in Nashville may shine a light on things we’re doing very, very wrong. And that needs to happen.” Those words need to go on a plaque displayed prominently in the Central Offices of MNPS. It needs to happen before it’s too late. Transparency is good. Every parent, teacher, taxpayer deserves to know how our money is being spent. Hi I loved this story my school is facing about if the issues your taking about could you contact me we can use all the help we can get. Be prepared to be Galluped to death. You will notice that the surveys will start coming out often, but because the way the questions are posed, there is not a response that can make “the system” look bad. It will all look “rosy” to most people. YOU will start to feel an uneasiness immediately. Once everyone has caught onto the scheme it’s really too late. Parents will have to resort to using local government to help rid your community of the rot. Teachers will be silenced out of fear for their jobs and the students will suffer the consequences. Where I live, the community WON’T respond to the Gallups anymore, the teachers are threatened into participation and some are even developed for students (my children are opt-outs for testing and many other things and I refuse for them to take any of the surveys). Follow your gut/instincts as it is your best guide to what is right not only for your children, but for all children. This Dr. Joseph needs to go NOW. There’s no need in beating a dead horse. He has demonstrated he has no clue about how to lead Metro Schools. Pingback: A Look at How PGCPS Executives transferred Corruption to Tennessee. | pgcps mess - Reform Sasscer without delay. Pingback: A Look at How PGCPS Executives transferred Corruption to Tennessee. | Help Change The World. The Future Of The County Is Now.